Good evening everybody, welcome to colorful and beautiful world of crochet. Today we are going to try and create it rather more entertaining and pleasant. Entrelac blanket is exactly what you are looking for. 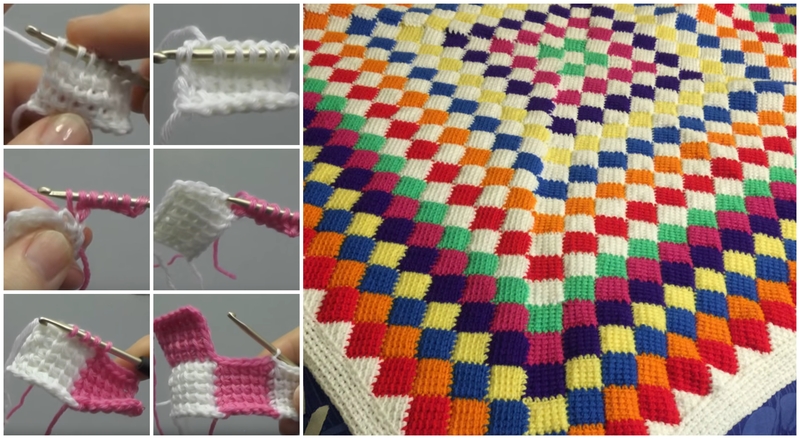 This is a very special project for every crocheter and especially for those who like making different kind of blankets I’m glad to share with you this gorgeous and colorful entrelac blanket with it’s easy tutorials to make this stunning creation. So, let’s get down to the business and start crochet today to get a big pleasure. We wish all the best to each and every crochet lover, enjoy with us!